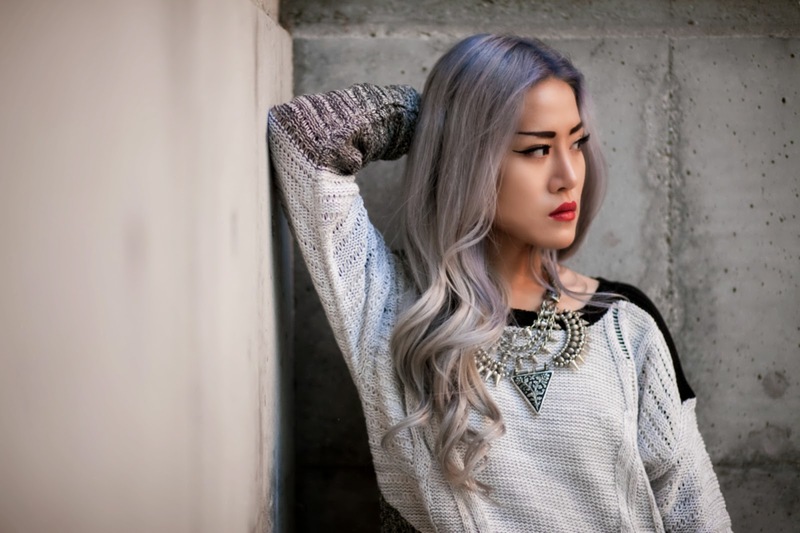 ShopAKIRA mixed knit sweater (c/o). Front Row Shop pants. Forever 21 shoes. Zara necklace. H&M bag. This was my main ensemble on Christmas Eve, sans outerwear and accessories that I switched out throughout the course of the day. 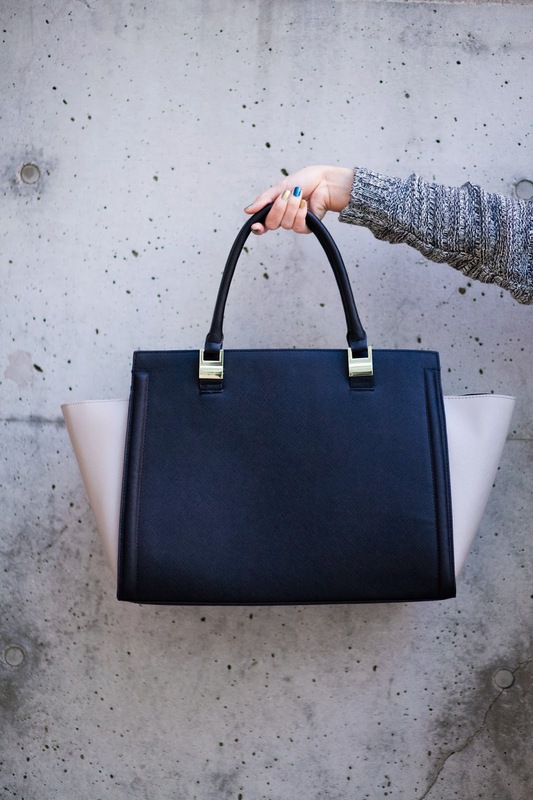 It's super comfy and relaxed but this structured carryall pulls it all together. When I saw this bag at H&M, I just about died--it's like the Céline trapeze bags but at the affordable price of only $50. How was everyone's Christmas? I had a great one this year. My family isn't too big on celebrating the holidays (we like to treat everyday like it's a day of thanks so we don't really have a designated day for mandatory family gatherings), but I spent time with my boyfriend's extended family for the first time ever, eeep! I'm happy to say it went really well! I hope you guys got everything you wished for and spent time with all the loved ones you wanted to see. great outfit !! loving the look. I like the shoes and the fresh length on your leather shorts! and that H&M bag looks so expensive.